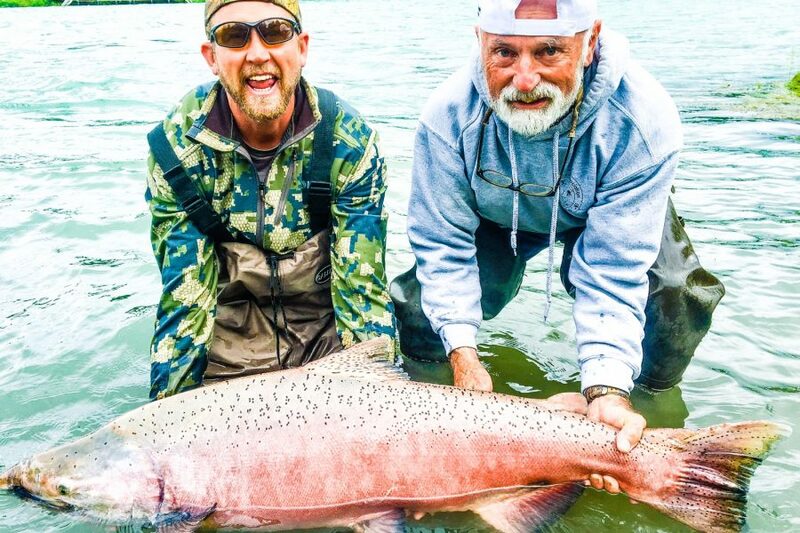 Angler Fred Houtman landed the ninth largest King Salmon in the IGFA Record Book at the time, a whopping 89 lbs, 4 ounces, as a guest of our Trophy Lodge!! 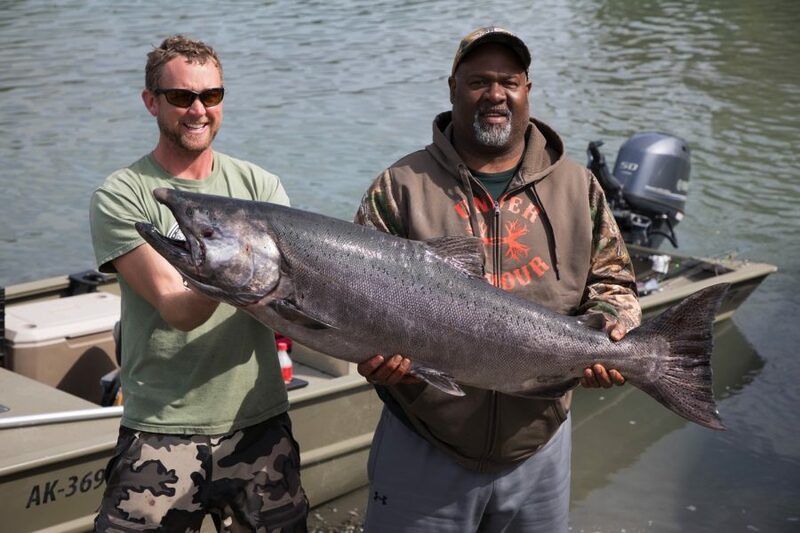 Saltwater King Salmon, known also as Chinook Salmon, start showing up in May and can last in some areas through August. These mighty Kings are especially known for their power and endurance and are one of the angler’s most sought-after species available. What a great addition to any saltwater charter! Takes place on the Kasilof River and the world-famous Kenai River. These are two distinctively different rivers, each with its own appeal. The Kasilof River is a drift boat fishery and the Kenai River is primarily a power boat fishery. The one thing they both have in common is King Salmon just minutes from the ocean and full of fight! Slate gray in color, the Kasilof River is fed from a huge glacier. The average depth of this is less that four feet, dictating the use of drift boats. Our drift boats accommodate 2, 3, or 4 anglers, and your guide will row you down the river and fish selected areas as the Salmon enter the river twice each day on the flood tides. Your float trip will take you through the middle of the Kenai National Moose Range, a very scenic area that abounds in wildlife. Moose, Beaver, Loons and Eagles are daily participants involved in your trip here. The Kings will average about 20-25 lbs. on the Kasilof, with occasional fish in the 40-50 lb. range. Because your boat will be propelled only by your guide rowing the boat, you in most cases will not be able to chase your fish. This creates great excitement as you try to battle your king and force him back up river. Your gear consists of medium to heavy graphite rod, usually in the 8-8 1/2 foot range, with a level wind reel filled with 175 yards of 25 pound test. The tackle varies, but typically large quickfish with a sardine wrap or an egg-cluster with a spin-n-glow are standard. Each guide has his own secrets and formulas, and half of the fun is trying to get the recipe from him. THE FIRST KINGS TO SHOW ON THE KASILOF CAN BE EXPECTED THE LAST WEEK OF MAY, WITH THE RUN BEING VERY CONSISTENT ALL OF JUNE THROUGH JULY 10TH. Our crews have the boats, tackle and know how to get you on the King Salmon and keep you on them! 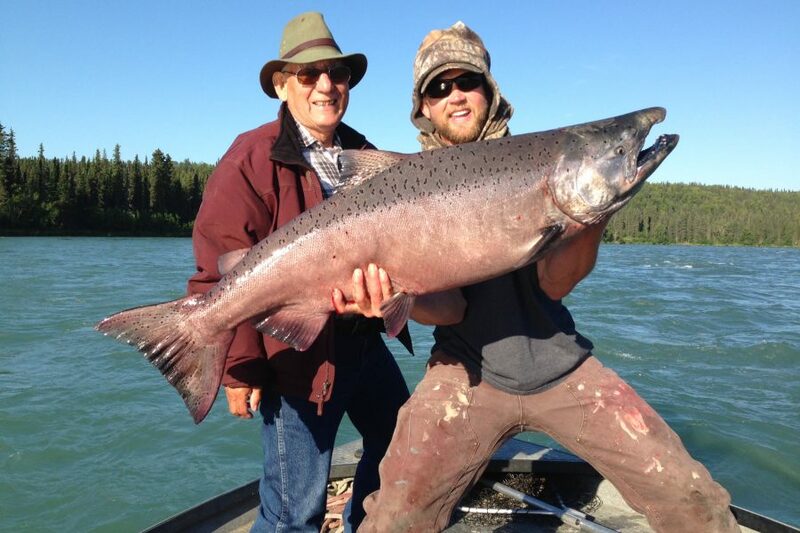 Home to the all time sport caught world record King Salmon, the Kenai River stands alone for trophy class King Salmon. The ten (10) largest sport caught King Salmon of all time have come from this beautiful glacier fed waterway. 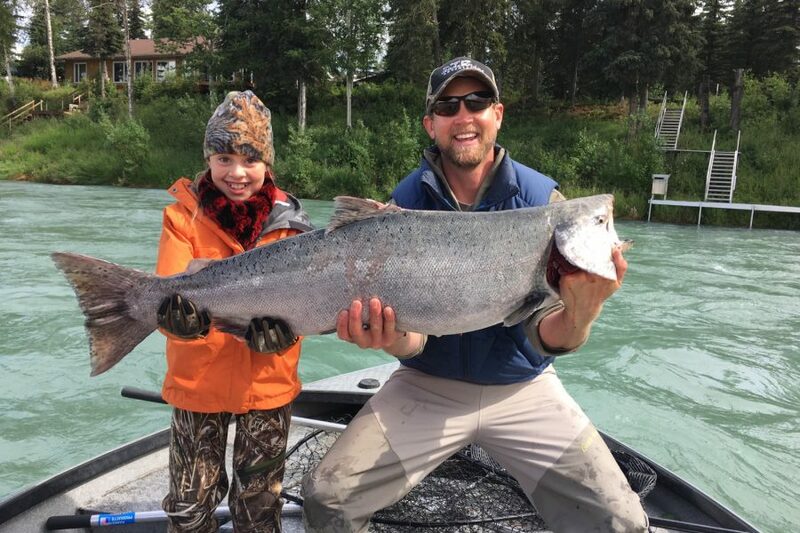 There is no where else in Alaska, or the entire world where you have the chance at catching such large trophy size King Salmon. 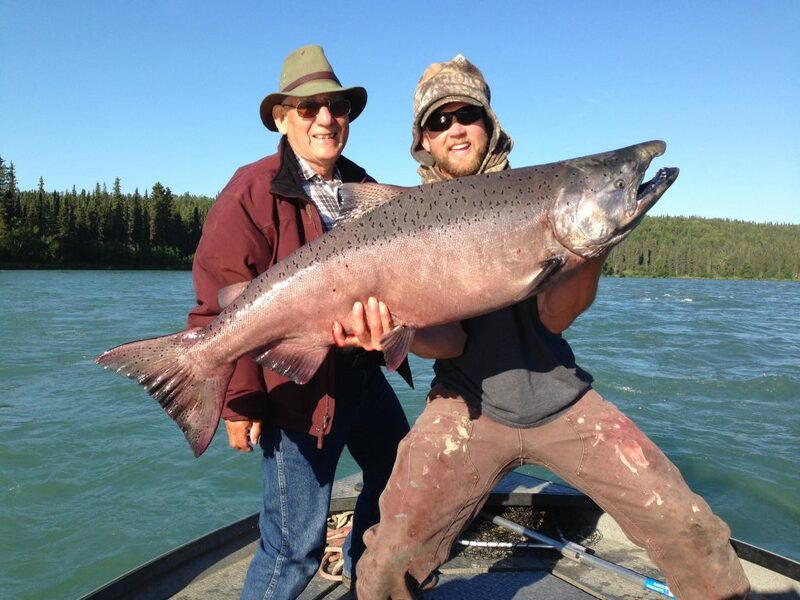 The genetics of this strain of King Salmon are unmatched in the entire world. This truly is a trophy fishery, and as such you fish here not for the quality of hookups or action, but rather for the chance of a lifetime. 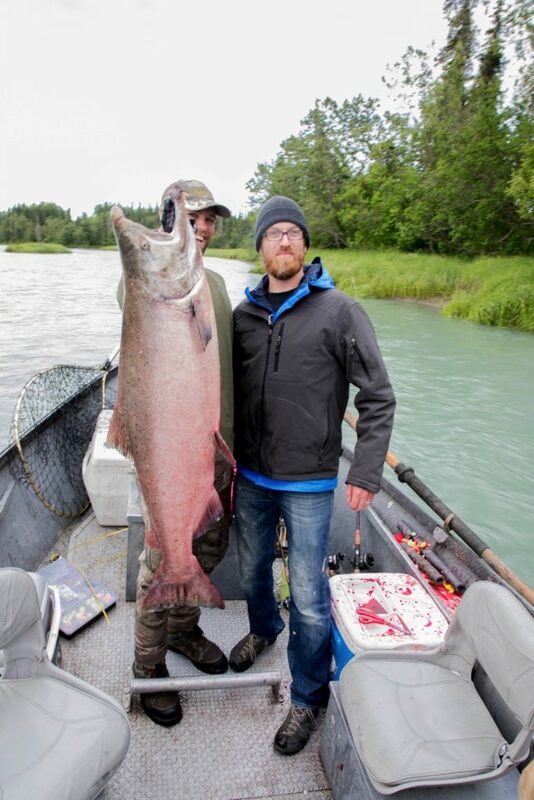 For it is here on the mighty Kenai River that the next world record will be produced. 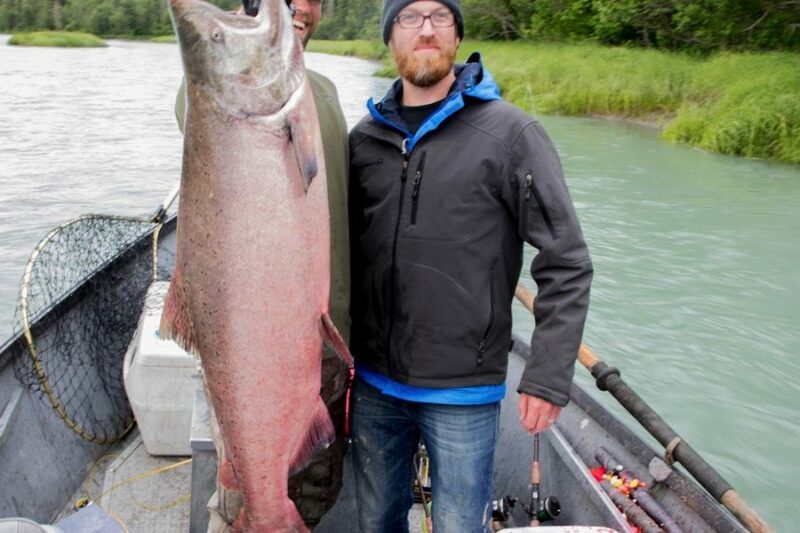 It is here that you can catch the largest Salmon of your life! 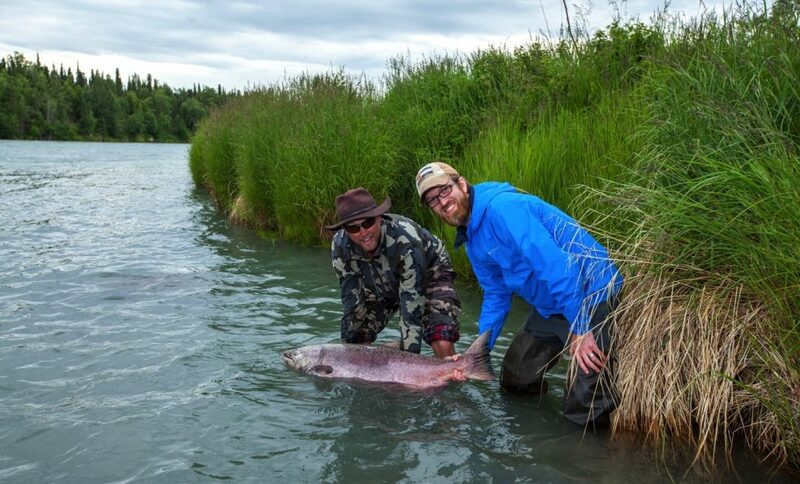 These mighty fish start entering the Kenai River the first week of May. Consistent action can be expected around May 15th, and one world record king salmon was actually landed on May 17th, 1985. There are two distinct runs of big Kings. The first run generally runs May 15th -June 30th, and the second run July 1st – July 31st. 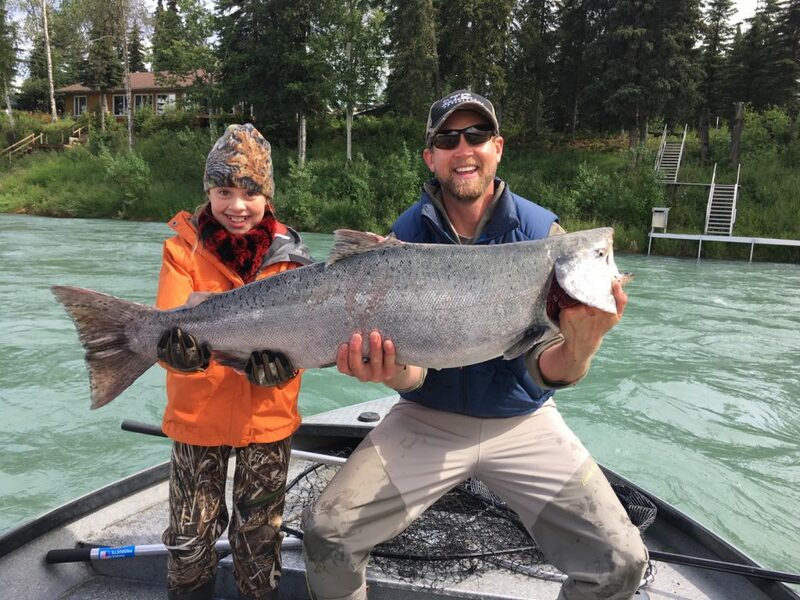 During the 2017 King Salmon season on the Kenai River, (May-July), fish were landed in the 70 lb range. 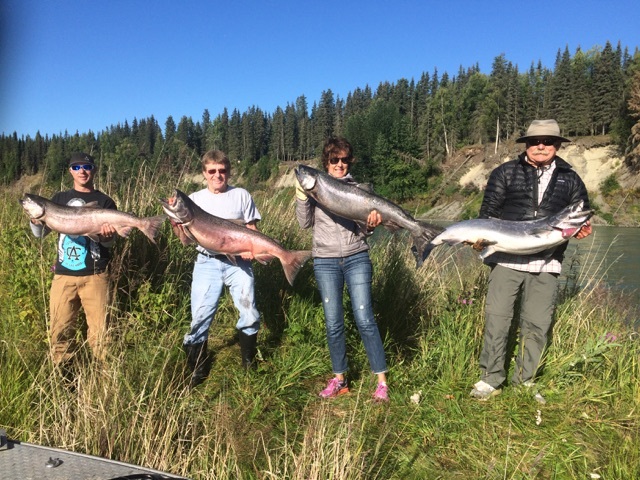 During your charter on the Kenai river you will typically be fishing with a total of four anglers, (including yourself), plus your guide. Our 20′ Predator and AlumaWeld river boats, designed to fish the rivers of the Northwest and powered by Yamaha four stroke technology, very comfortably handle a group of 5. 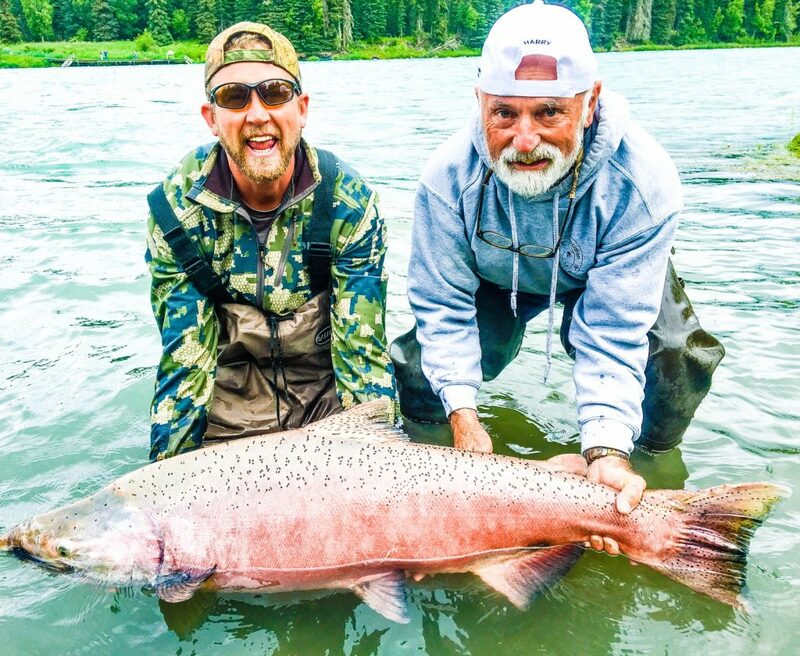 It is here that you can catch the largest Salmon of your life!